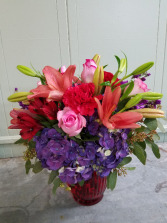 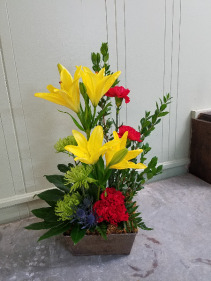 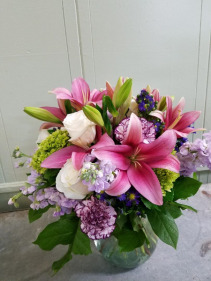 Low glass container of lush lilies, roses, stock, carnations, hydrangea, and asters. 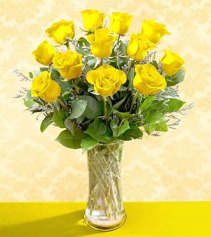 Traditional dozen roses in yellow. 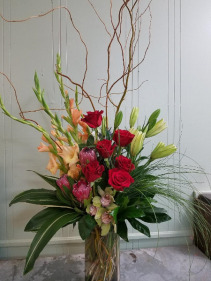 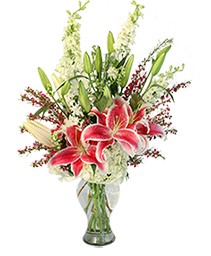 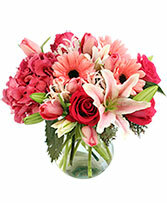 Chic design of glads, lilies, roses, protea, and orchids with curly willow branches and exotic foliages. 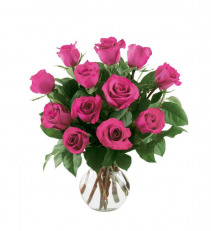 Traditional dozen roses in hot pink. 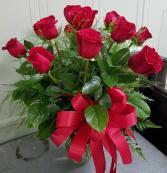 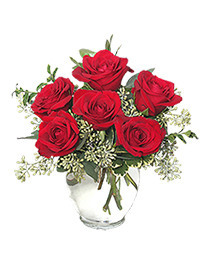 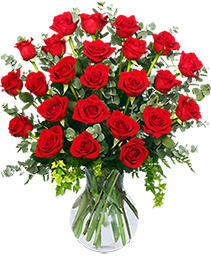 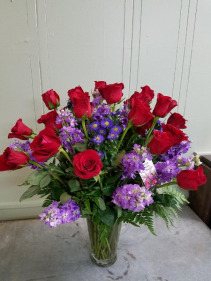 A shorter, mounded arrangement in a cube container full of gorgeous roses. Available in other colors - please specify if you want another color. 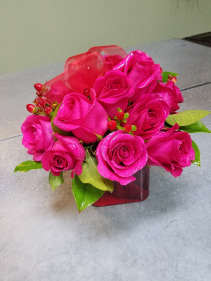 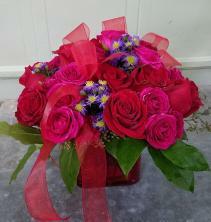 Hot pink roses with red coffee berry in a red glass cube container. 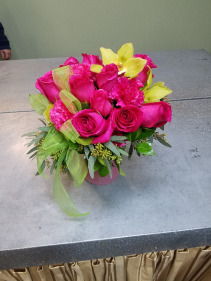 Hot pink roses and carnations with green orchids in pink glass vase. 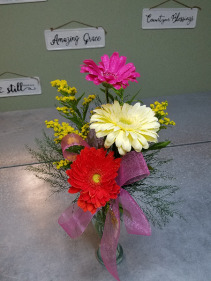 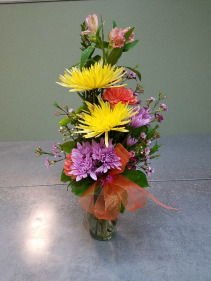 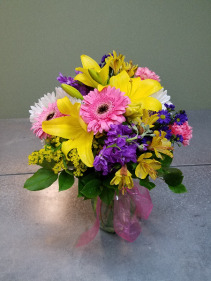 Budvase of mixed colors of gerbera daisies with filler. 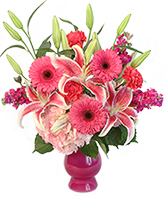 Colors will vary. 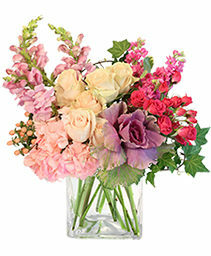 Snapdragons, orchids, roses, protea, hydrangea, and safari sunset in an oval glass vase. 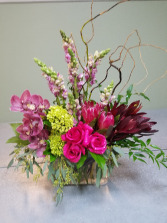 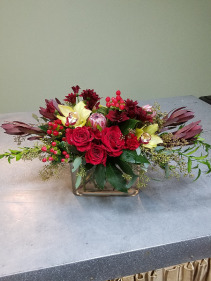 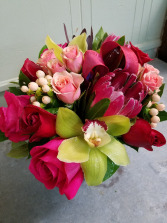 Low cylinder of hot pink and red roses, blush spray roses, hypericum berries, protea, and green orchids. 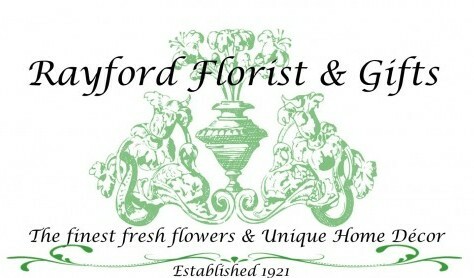 Owned and operated by Jon Nicholson and James Nicholson. 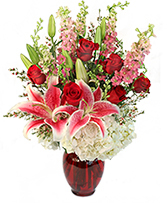 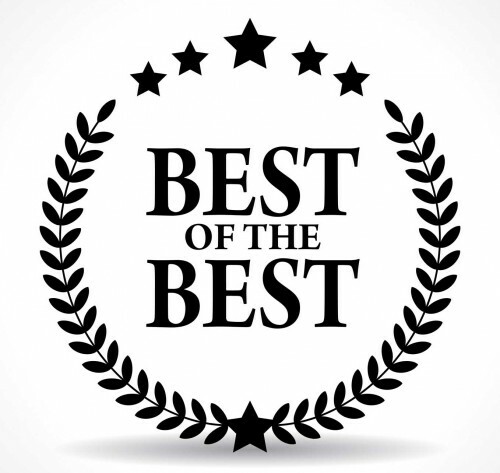 Certified Master Florists and licensed designers!